Whether it’s a hobby in your personal life — or a workflow process at the office — are you an “all-in” type of person? Or do you approach something new with more caution, preferring to break it down into calculated steps? Take the paperless office. Eliminating manual recordkeeping processes may seem like a giant leap from where you currently sit. But if you consider what’s to be gained from making the switch (as well as what you’re losing by not), the undertaking makes much more sense. Further still, devising a step-by-step plan can help you reach your goal — and reap the benefits — that much more quickly. We’ve all heard the saying, “Time is money.” Well, nowhere is this truer than in the workplace. Holding on to outdated, familiar processes could be eating up major chunks of your time and, in turn, cutting into your profits. Perhaps your resistance is that you’re already strapped for time, so the thought of taking on something new seems impossible. You may even recognize the need for a technology upgrade but, again, your schedule is tight. Here’s the thing: Putting forth the time and effort upfront will inevitably pay off later. When choosing well-designed, streamlined and customer-friendly services, such as online recordkeeping software, the “ramp-up” time is minimal. Reputable software providers recognize the demands on your time — and work hard to design services that are intuitive and easy to adopt. Beyond the “time is money” aspect with manual recordkeeping vs. online recordkeeping, there’s also the outright cost to purchase software. Again, I encourage you to look beyond the price tag when considering tech tools. Instead, take a hard look at how you run your business and the areas you could enhance with a technology upgrade. For example, if you would save 10 minutes daily by using online recordkeeping software, and you work 240 days a year, that’s 2,400 minutes or 40 hours a year — an entire week of gained productivity! Consider, too, the costs you can eliminate altogether. With recordkeeping software, you’re also saving the cost of paper/forms, printing and storage, which add up quickly in the typical office. So you’re convinced it makes sense — and are ready to make the switch to a paperless workplace. Congrats! Old-fashioned paper processes will no longer eat up your precious time, money and space. You’re about to embark on a smart, efficient and secure approach to recordkeeping that will deliver practical benefits almost immediately. But where do you start? That statement at the beginning of this article applies to you: You prefer to break down new tasks into calculated steps. I hear you — and I’ve got you covered. If you’re making space for notes, files and other paperwork beyond these categories, chances are good they’re not necessary and can be discarded. Only certain employee records (including the above) have specific state or federal record retention requirements. Look into a cross-cut shredding device or dedicated shredding service to properly discard paper documents and files you no longer need. Clicking on the “Add Employee” button on the top right corner of the page. From the profile tab, enter any information that applies, such as the employee’s basic information, work contact details and home contact details. 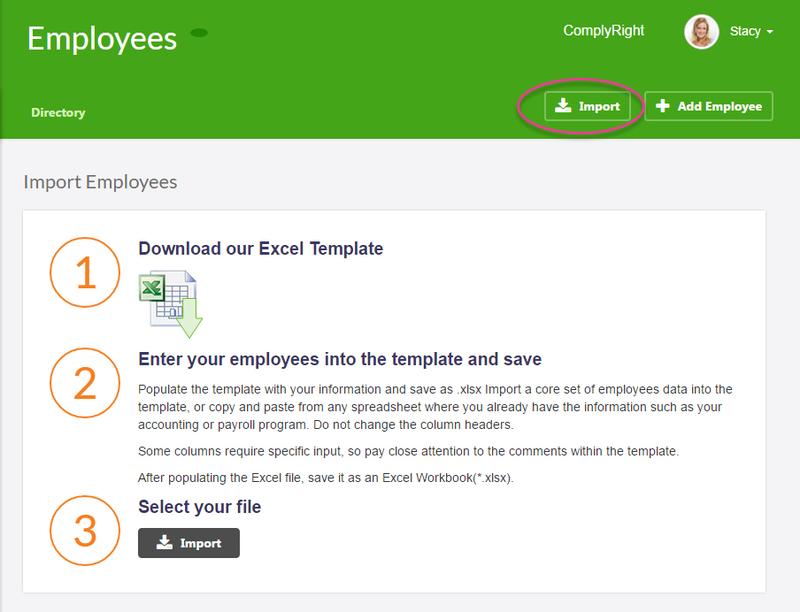 Clicking on “Import” on the top right corner of the page to import multiple employees at once. You’ll need to download the Excel template, enter employee information in the template, save it and select it for importing. 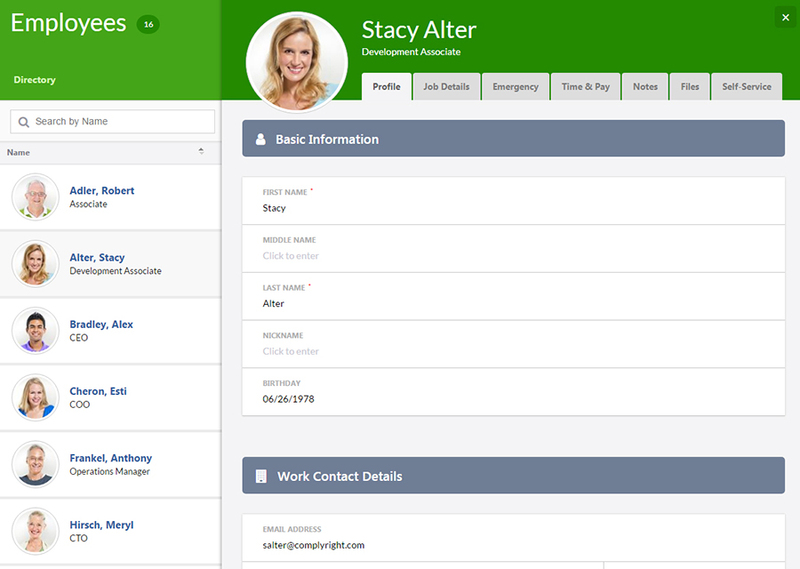 Beyond this basic profile information, you later can add job details (such as hire date and title), emergency info, time and pay details, notes and additional files. This information can be as specific and robust as you want, depending on your specific HR management needs. In your move to a paperless HR office, you’ll most likely need to scan certain records to convert them to an electronic format. Scanned files and documents should be legible, accurate and complete. You don’t have to do it all alone! 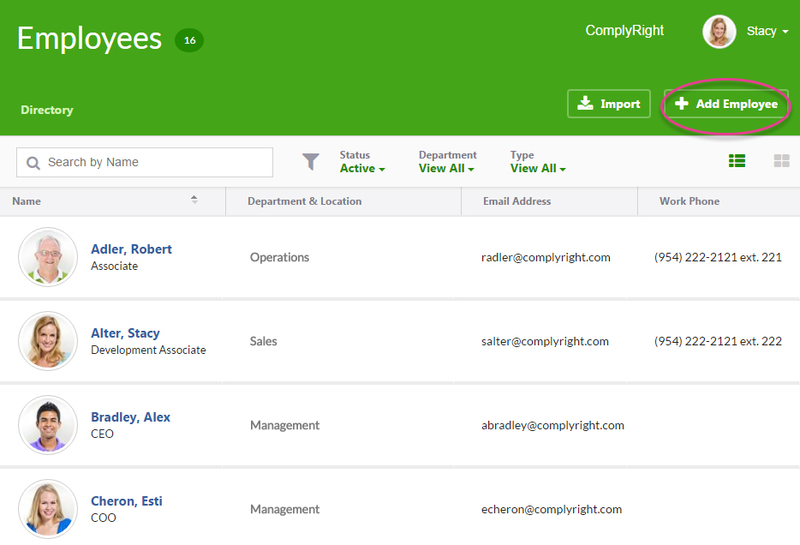 The self-service functionality with Employee Records allows you to send an invitation to an employee. Once the employee accepts, he or she can log in and enter basic information, work contact details and home contact details directly under the “Profile” tab. This helps you share the task of transitioning to an online system, where employees get involved and provide key information about themselves. As you can see, going paperless at work is not only positive, it’s painless. Even better, getting started is as easy as signing up for the Free Employee Records app. If you’re still not sure if this is the right move for you, check out our HR Software Quiz. It can help you decide if it’s time to turn that “no” into “go”. Old-fashioned paper processes cost you time and money. Online software quickly pays for itself in greater efficiency and productivity. Switching to online recordkeeping can be broken down into manageable steps. The Free Employee Records app is the ideal first step to paperless record keeping.